We’ve lost a scholar, visionary, hero and prominent psychologist. Ron Kurtz, a revolutionary clinician, author and human, passed away Wednesday morning from a massive heart attack in Ashland, Oregon. Kurtz, known for his work as a body-centered psychologist, developed what is known as the Hakomi method of psychotherapy. Congruent with humanism and existentialism, the Hakomi Method is often described by scholars as “applied Buddhist psychotherapy.” The method, developed from over forty years worth of clinical know-how, works by way of nonviolence, gentle mindfulness, honesty and openness within the psychological framework of the mind-body connection. Kurtz, a meek and unassuming man, described by many as having the love of an affectionate and compassionate father, has an extensive list of accomplishments, which culminated in recent years with the development of the Ron Kurtz Center in Ashland, Oregon. The center, Ron’s life long dream, attracts psychologists and laymen alike—who seek to be trained and profoundly and personally changed by the Hakomi Method. To notice what arises inside, without judgment, is the essence of Hakomi and a pathway to deep and abiding healing. Look within. Learn from yourself. Accept all your many parts, as they are. Be guided by your inner wisdom in all its many expressions. Allow any change to occur naturally, from inside out. This is an open way of watching ourselves, of witnessing what happens. We start by paying attention to present experience, as it is, in the body, now. At its core, the Hakomi method works with chronic sufferers to alleviate their long standing emotional anguish through the shifting of attention inward. Essentially it is characterized by a present-centered, self focused, vulnerable state aimed at evoking emotions, memories and often reactions that vulnerably expose implicit belief structures that pore over into the nonconscious habitual behaviors enacted daily. The Ron Kurtz Center in Oregon seeks to train qualified professionals by way of courses aimed at teaching the “Legacy Version” of Hakomi—the zenith of Ron’s life work. The legacy version is taught through courses including: Loving Presence, Quieting the Mind, Non-Verbal Awareness, and Nourishing Communication. At the core of training and methodology, the Hakomi method purports that the most “transparent” truth of a client is displayed in their behavior. Unprompted bodily behavior is the most accurate expression of one’s nonconscious beliefs and feelings; as memory is fleeting. Stemming from the idea that personhood and emotional well being result from behavior, Hakomi practitioners pay particular attention to a client’s experiential self by way of their physical/bodily reactions, habits and impulses through mindful attention to the client’s inner world. Ergo, one’s most deep-seated beliefs, thus their physical reactions result from non-conscious beliefs—that essentially determine the very inner world that a struggling client is living within. Interventional aspects of the Hakomi method work by way of “experiments” that are designed to re-awakening primal experiences and emotional reactions, reveal core beliefs of the experiences, and bring to consciousness the previous non-conscious cycles of suffering and inner living paradigms. 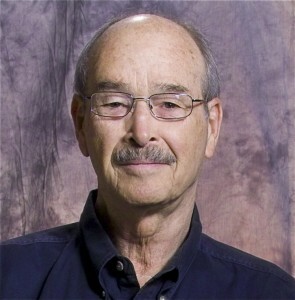 Ron is credited with writing and co-authoring books, articles, and changing the lives of countless suffering clients. His life’s work and humanistic spirit lives on in those trained, those healed, and those nearest and dearest to his heart, his family. Today we grieve. Going forward, we give thanks for his legacy.